Crossword Puzzles: A game that instantly brightens up the mood of wordsmiths all over the world. And, why wouldn’t it? After all, it makes you fall in love with words, all over again. The way its clues and cues make way for enticing, intriguing cryptic crosswords is something that doesn’t only accelerates the brain but, also gives a sudden adrenaline rush when you are able to grasp the clues and spot just the correct answer. That feeling, my friend, is certainly out of this world! Give it a try and you would feel exactly the same, trust me. Moreover, to top it all, it even has a plethora of other benefits too. From scaling up your vocabulary and language skills to boosting your confidence and enhancing your analytical skills, it does it all and that too while helping you relax and rejuvenate instantly. Yes, playing crossword puzzles does it all, simultaneously and seamlessly. Pretty cool, isn’t it? So, do you wish to unleash your inner wordsmith? Does the idea of losing yourself in this world of words excite you a little too much? Willing to try your hands at these amazingly crafted cash prize puzzles? Looking for Sunday magazines and newspapers to find your favorite piece of crossword? Well, why do the old school way when you can easily access crosswords just through a click? Yes, the times have changed and so have the crosswords online. Now, you don’t need to wait for those paperback puzzles for your daily dose of crossword sessions. Just grab your smartphone, go online and play a plethora of crosswords available out there. In fact, you can ditch the traditional crosswords (we still love it though, don’t we?) right now and take your word puzzle games instincts online with Wealth Words – a one of its kind of online crossword. There might be a variety of online crosswords available across the internet but, nothing beats the excellence of Wealth Words. Yes, it’s that amazing and unique. Wondering how’s it so different from its counterparts? Well, apart from making crosswords fun, engaging and oh-so-entertaining, it also gives amazing cash prizes as winnings. Yes, you got that right! You can actually take home huge cash prizes just through a simple game of crosswords. All thanks to Wealth Words! Now, that’s one freaking awesome news, right? No matter if you are stuck in the middle of a business meeting or are waiting for your friend in a restaurant or maybe, just getting bored in general, with Wealth Words in your hand, your mood will instantly lighten up as you swim through the waves of enormous cool word puzzle games, inducing you with gratification, solace, and happiness as you win all those cash prizes, one crossword puzzles online at a time. Sounds great, doesn’t it? And, talking about the cash prizes at Wealth Words, trust me when I say this “it couldn’t be this big and better”. 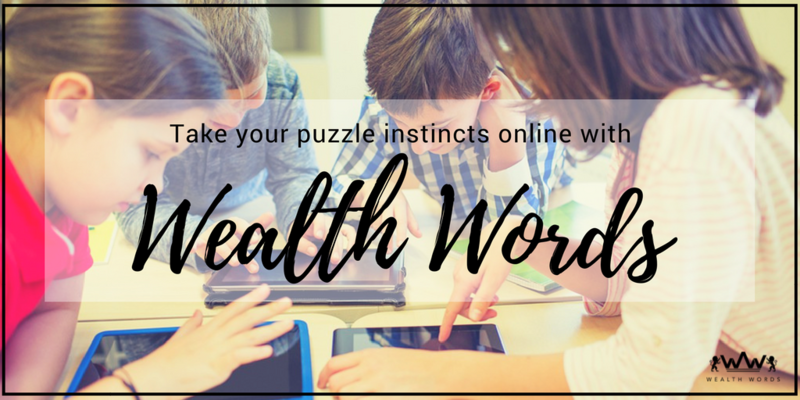 Do you know you can win up to a whopping $2300 at Wealth Words just by answering a few puzzles right? Sounds unbelievable? Well, pinch yourself later because this is the time to register at its website and laugh all the way to bank, literally! Moreover, if you are having any apprehensions regarding winning big at Wealth Words, keep it aside. For, there’s no high-end knowledge or rocket science involved here. All you need to do is pick on clues and cues that come your way and submit your answers in an active time frame of one hour to be in the ultimate race of winning division 1 and division 2 cash prizes. That’s about it. You are sorted. While you can make the division 1 cash prizes yours by answering all its 20 puzzles right, the division 2 cash prizes are for the player with the next highest number of correct puzzles. 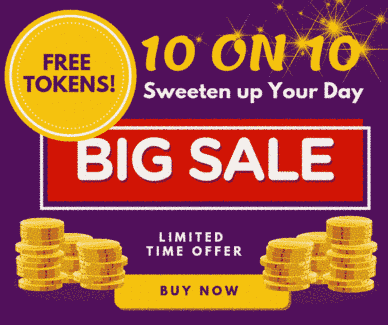 In addition, the other short and active word games ranging between 2 to 20 words at Wealth Words also gives you the chance to win bigger and better cash prizes lying anywhere between $50 to $2300. Told you earlier only, didn’t I? Well, aren’t these reasons enough to put up your puzzling caps and go the Wealth Words way? It certainly is! So, don’t waste a second, register at its website, purchase tokens ($2 each) for playing this word game and get going. In fact, if you want to get a little practice before opting for this online crossword puzzle, try its open game for a while which is absolutely free and doesn’t require any tokens or registration. How convenient is that! I hope and wish you give your best shot here. Happy puzzling, people. Are You A Crossword Expert? Wealth Words is calling You!